At my sister’s wedding reception, my part was simple: use air plants to accentuate the wedding decor. And, I have to say that the air plants came through. With the air plants the decor went from pretty to stunning! Air plants are a natural compliment to the succulents, which were provided by my amazing sister-in-law, Cassidy of Succulents and Sunshine. 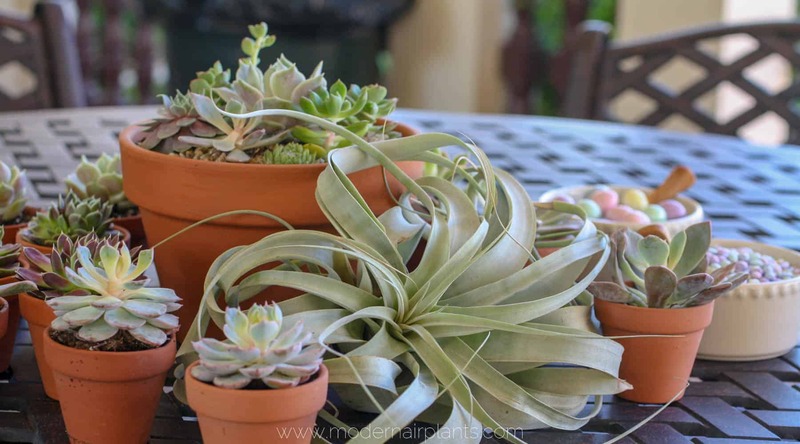 Because air plants do not require soil they were easy to add to the arrangements. The first step is to get the air plants from your home to the wedding. To transport the air plants, I recommend using a cooler. This way the air plants won’t get too hot, or too cold, as the case may be, if left in a vehicle. 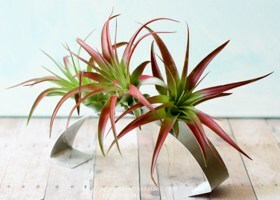 The cooler will also protect the air plants from getting smashed. 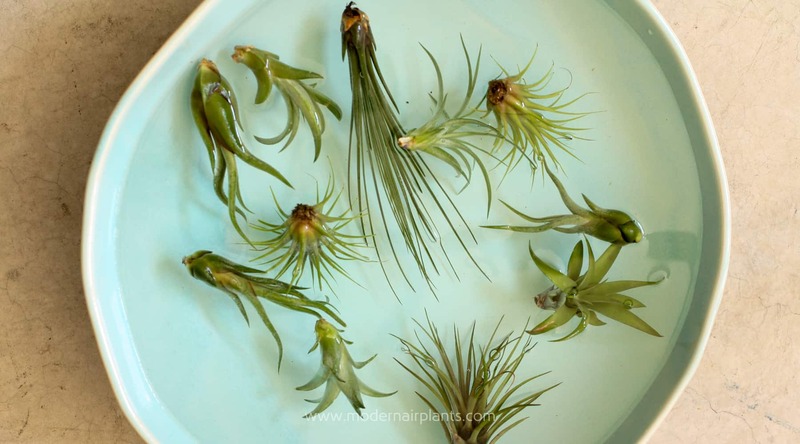 TIP: Before placing the air plants in the cooler, water the plants the day before. This way they will be hydrated and ready to go. When you’re ready to pack the air plants, place a towel in the bottom of the cooler to absorb any moisture that may still cling to the air plants after watering. 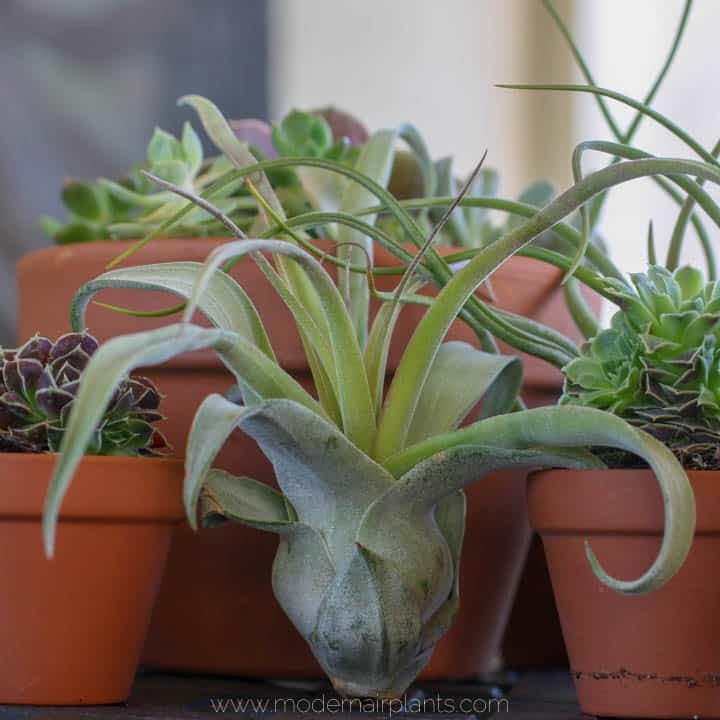 Begin by adding the largest air plants first. This will keep the air plants from smashing each other. I chose to set the air plants in the cooler up-side-down. 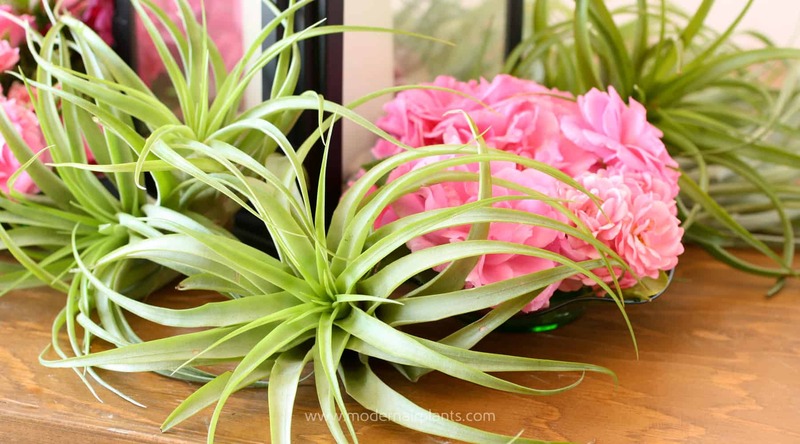 TIP: If the air plants will spend the night in the cooler, be sure to bring the air plants out of the vehicle and open the lid so the plants can get some air circulation. The air plants arrived at the wedding reception destination looking fresh. I arrived early at the reception in order to add the air plants. Everything was done: the cake the succulent centerpieces. All I had to do was to add the finishing touches: the air plants. 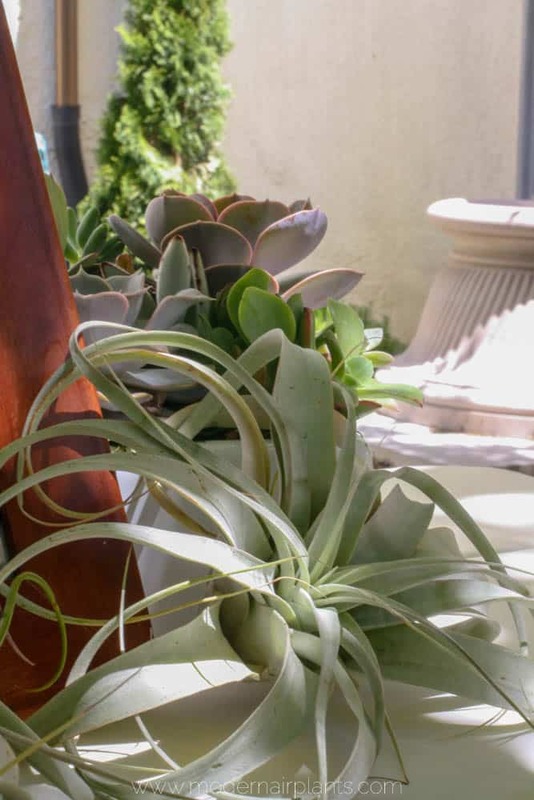 Can you find the air plant, T. caput-medusae, hidden behind the succulent? 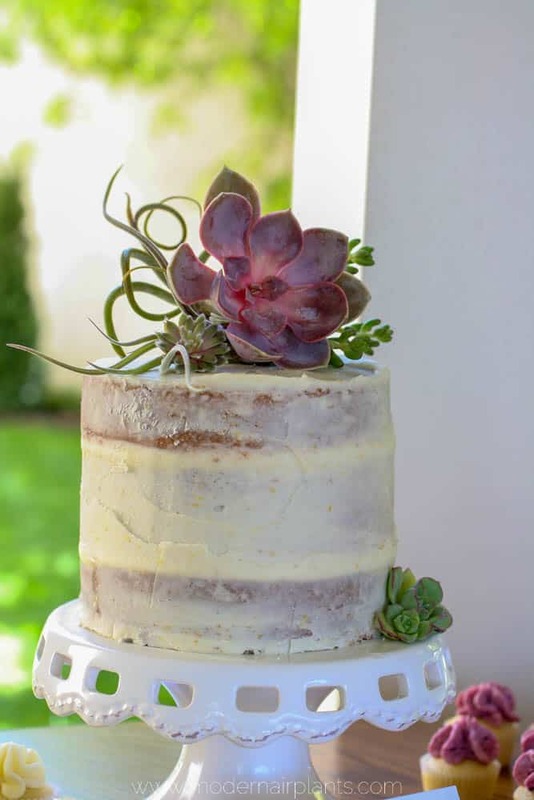 Although the air plant doesn’t take center stage on the wedding cake, its curling tendrils does round out the total effect, giving it a finished look. Pictures of the bride and groom along with the guestbook and succulent arrangement were adorned with a large T. xerographica. 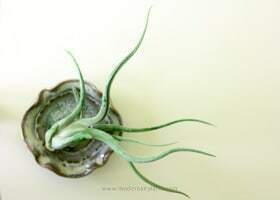 Air plants are a cinch to work with because of their soilless-ness. 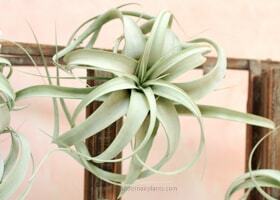 Directions for adding air plants couldn’t be easier: First, bring a large quantity and variety of air plants. 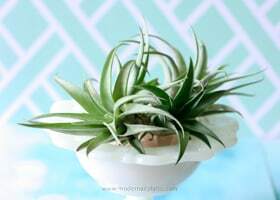 Xerographica is a staple. Now, you’re ready to begin. 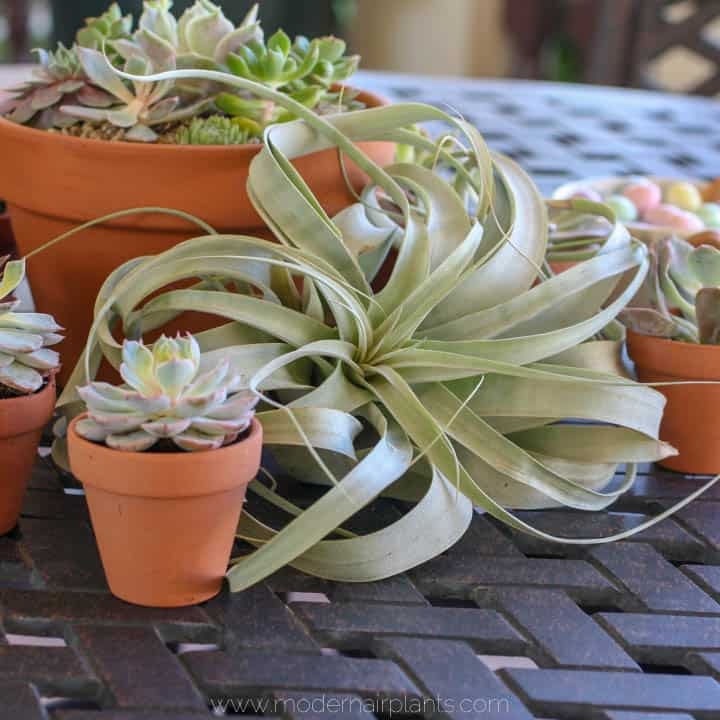 Simply tuck and place air plants as needed to finish off the centerpieces. The T. xerographica grounds the centerpiece. These T. harrisii compliment the purples in the potted succulents. I love the crazy leaves of this T. streptophylla. Some have curlier leaves than others. Have a wedding, or another event coming up? I recommend using air plants in your decor. 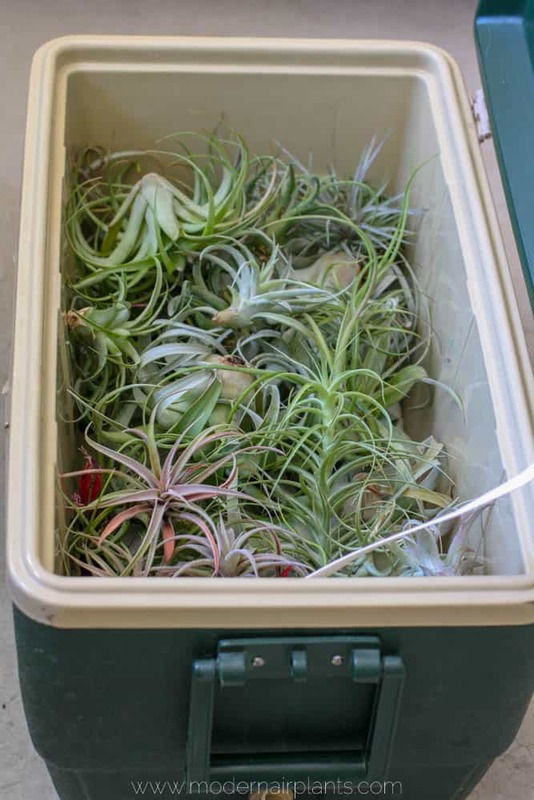 You only need a few supplies: towel and cooler for transporting and lots of air plants. 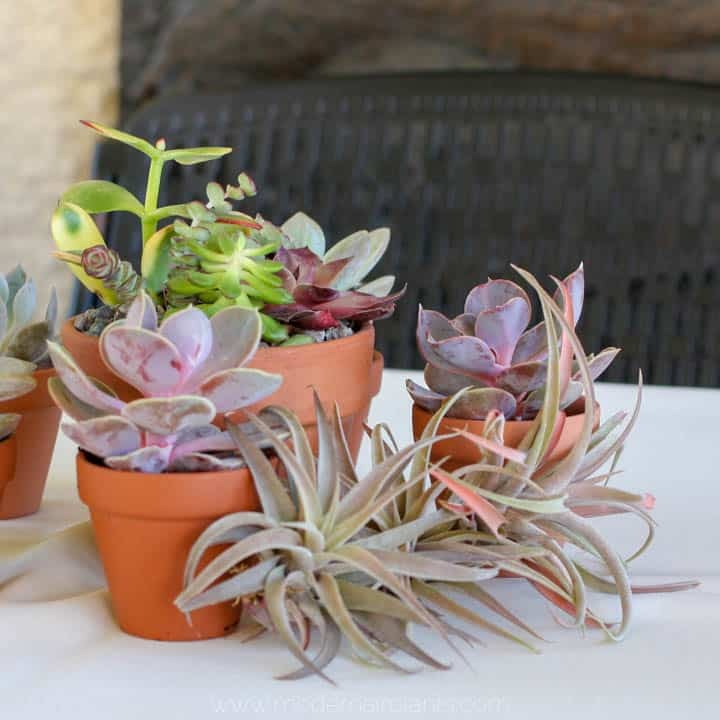 For this wedding the air plants complimented succulents, but air plants also look great with flowers. 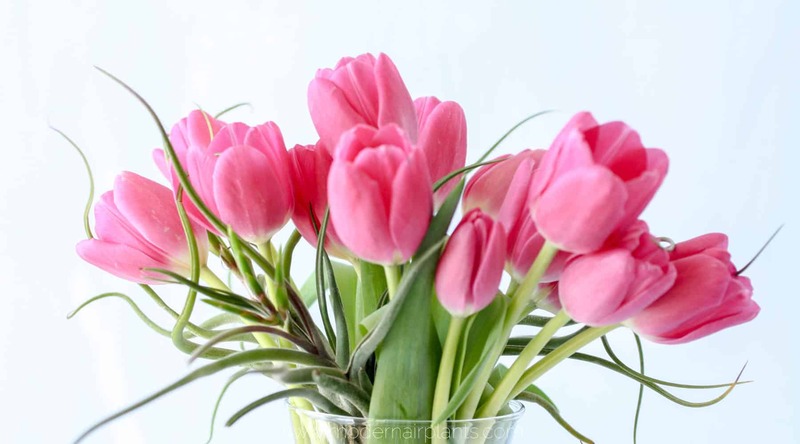 Add some PIZZAZZ to grocery store bouquets!